The ethnic diversity of the Windy City helps make Christmas such a unique experience in Chicago. The spirit of the holiday is aided with the annual Magnificent Mile Lights Festival Parade that takes place each November. Over a million people gather in and around North Michigan Avenue for a full day of activities that culminate with a light parade in the evening. As the parade moves down the route, the lights of the city are lit block by block creating an exciting and dazzling display. Yes, in Chicago we love our Christmas lights, but few enjoy the hassles of a do-it-yourself Christmas light installation. Even fewer enjoy taking them down in Chicago’s bitter January weather. 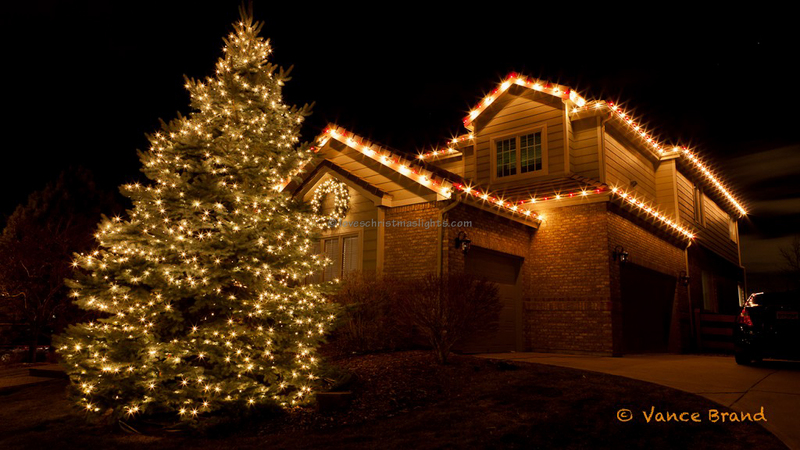 This year, make the decision to get a professional Christmas light installation by qualified Christmas light installers. 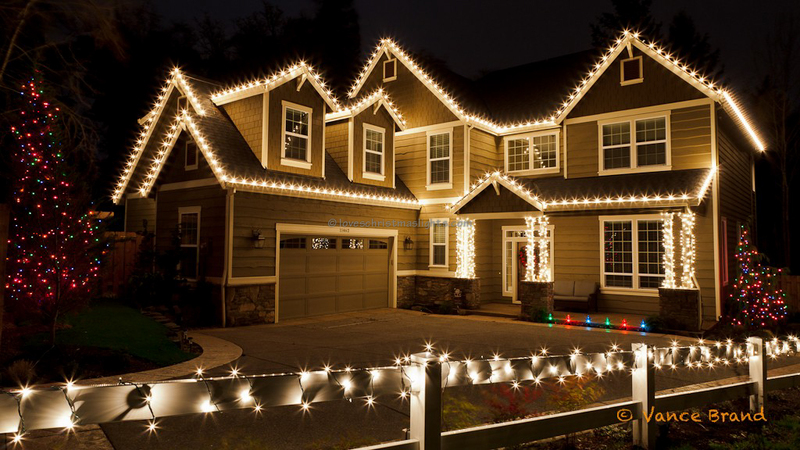 Here are some very good reasons to have your holiday lights professionally installed. The weather. Chicago’s famous winters can start early and stay late. It’s why many homes still have lights up in April! Your safety. Climbing ladders, working with rooflines and hauling power cords can be dangerous work. Don’t take chances with your safety, hire a professional. Your sanity. Working with tangled holiday strandss and non-working light bulbs can be frustrating. Christmas is a season of joy and celebration. This year, relax and enjoy it! The neighbors. Your friends, neighbors and family will love your classy, professional display. It is a great way to share the spirit of the season. Time. Think of the time you will save not only in hanging Christmas lights, but in getting them out, taking them down, and storing them for next year. This year, let the pro’s do it! More and more people and businesses in the suburbs and neighborhoods of Chicago are turning to professional Christmas light installers. Once you discover the convenience, it may become a new holiday tradition for you. Homes in Winnetka, Kenilworth and Lake Forest glow with professional displays. Residents in Hinsdale, Oak Brook and River Forest enjoy their professionally installed lighting displays and now you can too! Professionally decorating your business is good PR. It displays your holiday spirit and love for the season. What better way to say Merry Christmas to your clients and prospects? Getting your free, no obligation quote is easy. Simply fill out the convenient Christmas lighting quote form. 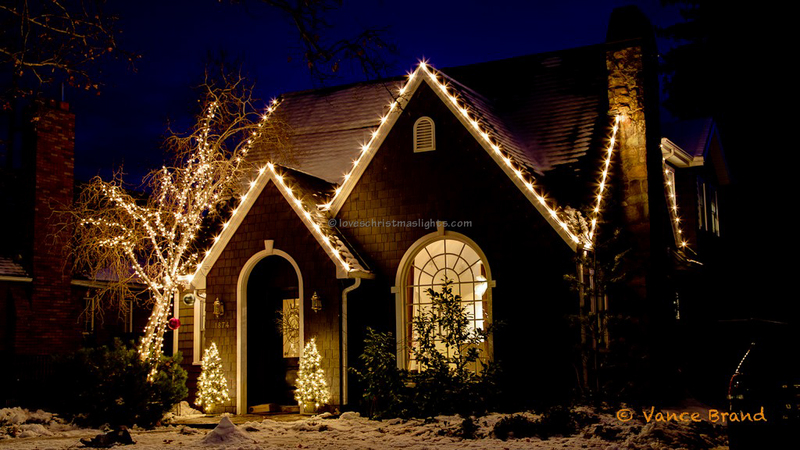 Soon, you will be contaced by qualified Chicago Christmas light installation companies with estimates for your lighting project. Remember, the decision is always yours. You decide what type of display you want. You control your budget! Once you decide on a bid, your set-up date will be scheduled. Remember, with Chicagolands’s cold winters the earlier the better. Don’t wait until the last minute. Call or fill out the form today and get ready to enjoy this holiday season like never before, with a professional Christmas light installation!